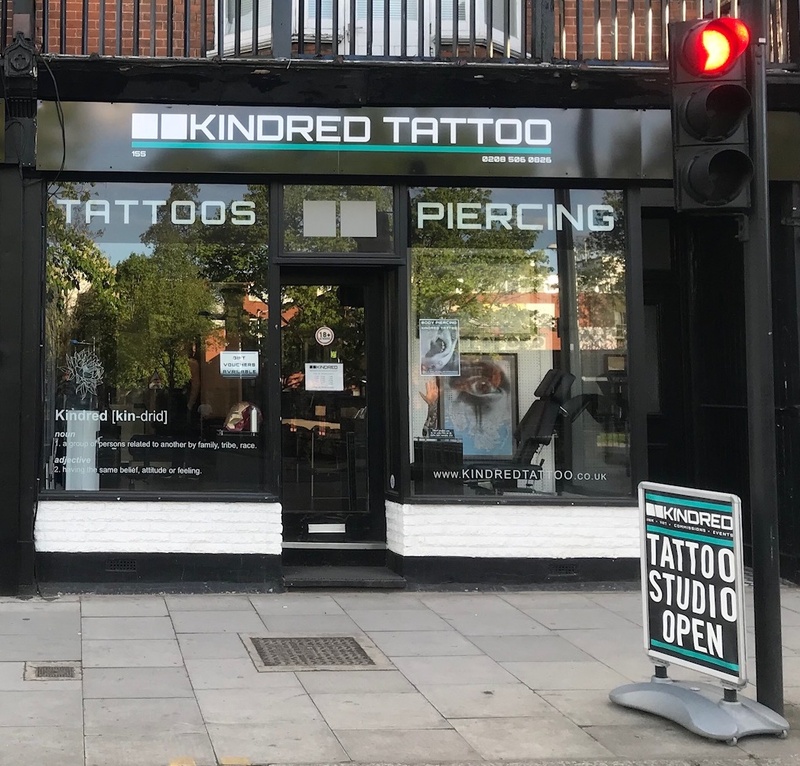 Blurring the lines between Chris's background in tattooing and Mick's background in urban art and graphic design, Kindred's aim is to dispel the common perception of tattoo studios being hostile, intimidating places. We are here to welcome everyone into our creative studio and provide a service in a warm and friendly atmosphere, accessible to all. Working within a gallery setting, we showcase our own creations alongside hosting new and established UK and International talent from the worlds of contemporary, urban and photographic art. We look forward to seeing you, be it for a new piece of artwork on your skin or on a canvas for your wall. Come by, say hi and let's chat art! 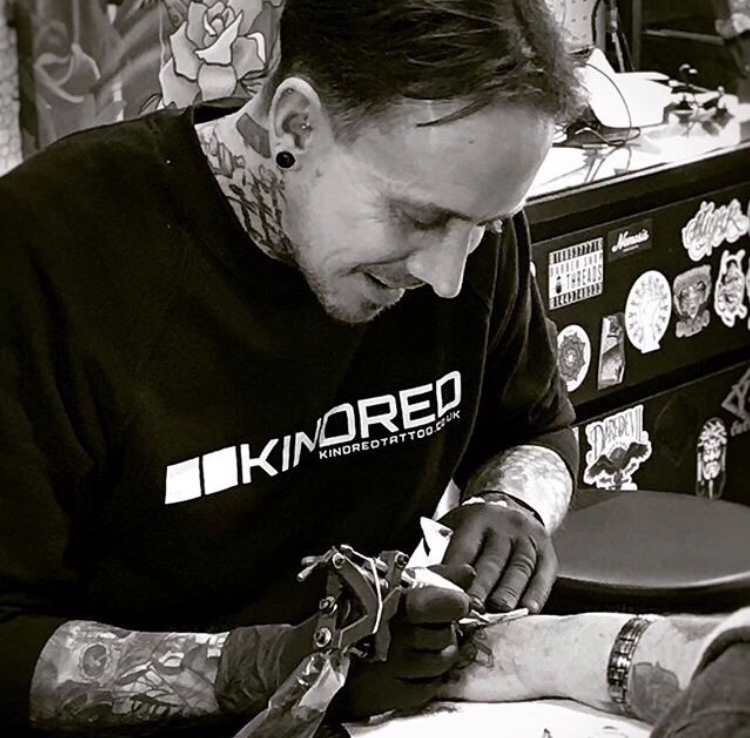 Director of the Kindred Tattoo Studio is Chris Howells. Having owned two other studios before Kindred, he brings a wealth of experience not only as an artist but also as a mentor, and has built up a very well respected reputation for his work amongst his peers as well as his extensive client list. Working alongside Chris are fellow tattooists and artists Francisco 'PK' Navarro, Micky Morphi, Marcus Ottner and James Alexander. Together they make an extrememly creative, diverse and professional team who enjoy making masterpieces across a huge range of styles as well as mediums. Director of the KND creative hub is Mick Howells. 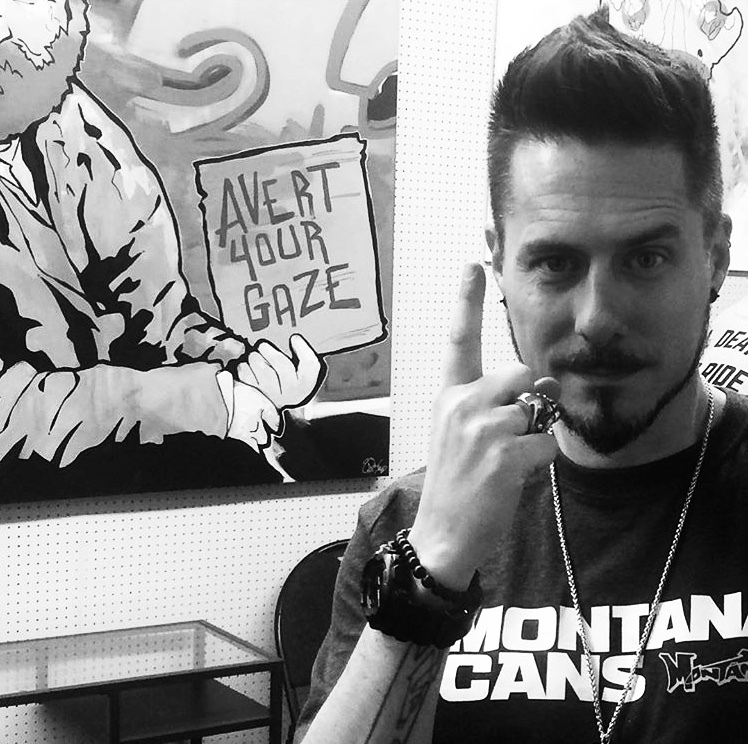 With a background in graphic design and urban art as well as an established career in the music industry, Mick is a passionate follower of all things creative. He is a regular contributer to the gallery, but can often be found off site with a spray can in hand creating his latest commission. He also coordinates all of studio's events and exhibitions. Contact Mick for details of forthcoming events or if you have any artwork to share or exhibit and would like to become part of the ever growing #kindredfamily. © 2018 KINDRED TATTOO LTD. ALL RIGHTS RESERVED.